Could also go in Decorative Arts category, but since it is actually a functional (albeit small) box, it seemed more appropriate to put in Product-design category. 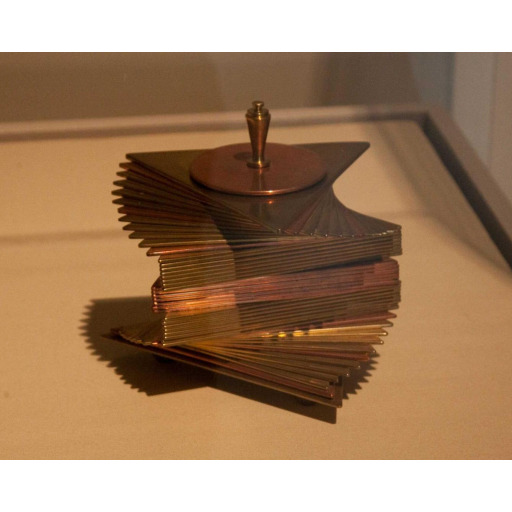 A spiral design of square sheets of copper spun around to form a small box. Designer was originally from Russia but primarily worked in California during the first few decades of the 20th century.